Sidransky, A.J. “Forgiving Mariela Camacho”, Berwick Court, 2015. 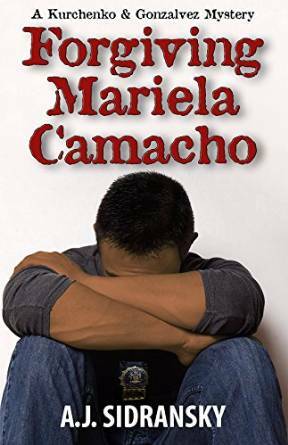 “Forgiving Mariela Camacho” is the second book in a series of New York Cities murder mysteries. Now that we are living in a time of immigration disputes, here is a book that examines both the immigration experience here in the United States and the Dominicans who have become part of what is called ”The Dominican Diaspora” as well as the nature of friendship between men. One afternoon in June, the body of a woman is found in her Washington Heights apartment and it appears to be a suicide. Detectives Anatoly Kurchenko and Pete Gonzalez are sent to investigate the event. Gonzalez knew from the start that the dead woman did not commit suicide. Pete knew her better than that— Mariela Comacho was the love of his life. To get to the truth about what really happened we are taken on a journey across three continents and twenty-five years and we travel from the seedy areas of the Dominican Republic to the cold and icy streets of Soviet Moscow and the Judean Hills, as well as the dark clubs of New York City’s underworld. Along with the detectives, we learn that Mariela was not merely murdered, but that’s she had been the most recent victim of an international serial killer—a phantom from the past and nine months pregnant Karin Kurchenko could be next on his list. Now what makes if difficult reviewing a book like this is the danger of giving away information that can spoil the read for others so at this point I will let the plot rest. What I will say is that the plot begins as something of a usual murder investigation but turns out to be something much more. There are two aspects of the book that enchanted me. The first of these deals with the search for identity from the immigrant’s perspective and having once immigrated to a country where I had to learn a different language, this book spoke to me. That kind of search for identity is much different than being born and raised somewhere and the having to deal it at home. One never has to question his allegiances or his sense of being in situations like that. The other aspect that I found to be handled so well deals with male/male friendship—something that is deeper than just a handshake or working together. For whatever reason or reasons, men have difficulty in establishing deep friendships and they do not always realize that experiencing something with someone else makes it much more enjoyable. We see a relationship between two men who are deep and trusting friends in Gonzalez and Kurchenko. They complement and also rely on each other. Sidransky also does an admirable job in depicting the city of New York as well as he shines light on the Jews of Manhattan as well as the Dominican population of the city. There is quite an extensive cast of characters that includes cops, criminals, beauties, rabbis, the KGB and the Albanian Mafia and we get insight into all of these groups. I remember thinking as I closed the covers of the previous book in the series, “Forgiving Maximo Rothman” that Sidransky was going to have a tough time topping it but he has managed to do just that. For those who are not sure how they feel about the whole immigration issue, there is something to be learned here. I think it is safe to say that immigration occurs when one wants a better life than he has somewhere else and the history of the United States is very much the history of immigration. One cannot live being politically and economically held back if there is somewhere he can make things better. It is that drive for a better life that fuels immigration. We have all of this wrapped in a thriller that will keep you turning pages. The only problem I now have is having to wait for the next book in the series. This entry was posted in Judaica on August 28, 2015 by Amos.